MIAMI, June 22, 2017 — Carnival Corporation & plc (NYSE/LSE: CCL; NYSE: CUK) announced U.S. GAAP net income of $379 million, or $0.52 diluted EPS, for the second quarter of 2017 compared to U.S. GAAP net income for the second quarter of 2016 of $605 million, or $0.80 diluted EPS. Second quarter 2017 adjusted net income of $378 million, or $0.52 adjusted EPS, was higher than adjusted net income of $370 million, or $0.49 adjusted EPS, for the second quarter of 2016. Adjusted net income excludes unrealized gains/(losses) on fuel derivatives and other net charges, which totaled gains of $1 million for the second quarter 2017 and $235 million, or $0.31 per share, for the second quarter 2016. Revenues for the second quarter of 2017 of $3.9 billion were higher than the $3.7 billion in the prior year. Gross revenue yields (revenue per available lower berth day or “ALBD”) increased 2.7 percent. In constant currency, net revenue yields increased 5.1 percent for 2Q 2017, better than March guidance of up 2.5 to 3.5 percent. Gross cruise costs including fuel per ALBD increased 3.2 percent. In constant currency, net cruise costs excluding fuel per ALBD increased 1.5 percent, in line with March guidance of up 1.5 to 2.5 percent. Changes in fuel prices (including realized fuel derivatives) and currency exchange rates decreased earnings by $0.12 per share. Highlights from the second quarter include the delivery of Princess Cruises’ Majestic Princess, the first ship tailored for the China market, as well as the addition of AIDAperla to the company’s German brand, AIDA Cruises. Also during the quarter, two additional Princess Cruises ships, Caribbean Princess and Royal Princess, were outfitted with the technical requirements to transition them in early 2018 to the Ocean Platform featuring Ocean MedallionTM. This cutting edge interactive guest experience will debut on Regal Princess this November. Additionally, Carnival Corporation was ranked among the 100 Best Corporate Citizens by Corporate Responsibility magazine and was ranked number one, globally, for the year’s most engaging and informative sustainability report in the 10th annual Corporate Register Reporting Awards. At this time, cumulative bookings for the next three quarters are higher at prices that are well ahead of the prior year. During the quarter, booking volumes for the next three quarters have been running in line with last year, also at prices that are well ahead. Looking forward, Donald commented, “We are realizing sustained strength in booking trends across all core products. We are delivering on our strategy to grow demand in excess of measured capacity growth while leveraging our industry-leading scale resulting in increased return on invested capital. We are working hard to sustain the momentum. We have accelerated returns to shareholders through our recent dividend increase, with annual dividend distributions now approaching $1.2 billion, and the reauthorization of up to $1 billion in share repurchases.” Donald added that the company has completed $2.7 billion in share repurchases since late 2015. The company expects full year 2017 net revenue yields in constant currency to be up approximately 3.5 percent compared to the prior year, better than March guidance of up approximately 3 percent. The company expects full year net cruise costs excluding fuel per ALBD in constant currency to be up approximately 1.5 percent compared to March guidance of up approximately 1 percent. Changes in fuel prices (including realized fuel derivatives) and currency exchange rates compared to the prior year are expected to decrease earnings by $0.35 per share. Taking the above factors into consideration, the company expects full year 2017 adjusted earnings per share to be in the range of $3.60 to $3.70 compared to March guidance of $3.50 to $3.70 and 2016 adjusted earnings per share of $3.45. Third quarter constant currency net revenue yields are expected to be up approximately 4 percent compared to the prior year. Net cruise costs excluding fuel per ALBD in constant currency for the third quarter of 2017 are expected to be in line with the prior year. Changes in fuel prices (including realized fuel derivatives) and currency exchange rates compared to the prior year are expected to decrease earnings by $0.05 per share. Based on the above factors, the company expects adjusted earnings per share for the third quarter 2017 to be in the range of $2.16 to $2.20 versus 2016 adjusted earnings per share of $1.92. (a) See the net income to adjusted net income and EPS to adjusted EPS reconciliations in the Non-GAAP Financial Measures included herein. The company has scheduled a conference call with analysts at 10:00 a.m. EDT (3:00 p.m. BST) today to discuss its 2017 second quarter results. This call can be listened to live, and additional information can be obtained, via Carnival Corporation & plc’s website at www.carnivalcorp.com and www.carnivalplc.com. Together, the corporation’s cruise lines operate 103 ships with 231,000 lower berths visiting over 700 ports around the world, with 17 new ships scheduled to be delivered between 2018 and 2022. Carnival Corporation & plc also operates Holland America Princess Alaska Tours, the leading tour company in Alaska and the Canadian Yukon. Traded on both the New York and London Stock Exchanges, Carnival Corporation & plc is the only group in the world to be included in both the S&P 500 and the FTSE 100 indices. 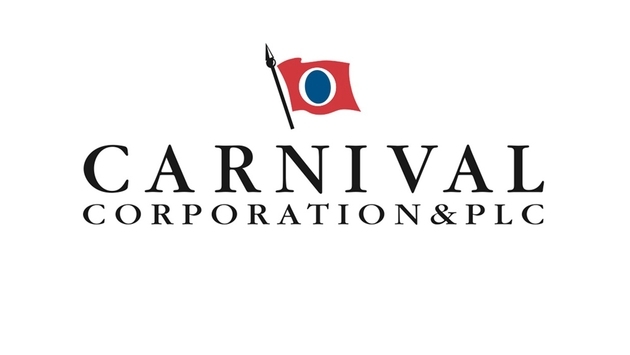 Carnival Corporation and Carnival plc and their respective subsidiaries are referred to collectively in this document as “Carnival Corporation & plc,” “our,” “us” and “we.” Some of the statements, estimates or projections contained in this document are “forward-looking statements” that involve risks, uncertainties and assumptions with respect to us, including some statements concerning future results, outlooks, plans, goals and other events which have not yet occurred. These statements are intended to qualify for the safe harbors from liability provided by Section 27A of the Securities Act of 1933 and Section 21E of the Securities Exchange Act of 1934. All statements other than statements of historical facts are statements that could be deemed forward-looking. These statements are based on current expectations, estimates, forecasts and projections about our business and the industry in which we operate and the beliefs and assumptions of our management. We have tried, whenever possible, to identify these statements by using words like “will,” “may,” “could,” “should,” “would,” “believe,” “depends,” “expect,” “goal,” “anticipate,” “forecast,” “project,” “future,” “intend,” “plan,” “estimate,” “target,” “indicate,” “outlook,” and similar expressions of future intent or the negative of such terms. (a) During the three months ended May 31, 2017 and 2016, our (losses) gains on fuel derivatives, net include net unrealized (losses) gains of $(2) million and $242 million and realized (losses) of $(51) million and $(71) million, respectively. During the six months ended May 31, 2017 and 2016, our gains (losses) on fuel derivatives, net include net unrealized gains of $69 million and $96 million and realized (losses) of $(96) million and $(161) million, respectively. (a) On December 1, 2016, we adopted the Financial Accounting Standards Board’s Interest – Imputation of Interest and reclassified $55 million from Other Assets to Long-Term Debt on our November 30, 2016 Consolidated Balance Sheet. The presentation of our non-GAAP financial information is not intended to be considered in isolation from, as a substitute for, or superior to the financial information prepared in accordance with U.S. GAAP. It is possible that our non-GAAP financial measures may not be exactly comparable to the like-kind information presented by other companies, which is a potential risk associated with using these measures to compare us to other companies. Our Europe, Australia & Asia (“EAA”) segment and Cruise Support segment operations utilize the euro, sterling and Australian dollar as their functional currencies to measure their results and financial condition. This subjects us to foreign currency translational risk. Our North America, EAA and Cruise Support segment operations also have revenues and expenses that are in a currency other than their functional currency. This subjects us to foreign currency transactional risk. We report net revenue yields, net passenger revenue yields, net onboard and other revenue yields and net cruise costs excluding fuel per ALBD on a “constant dollar” and “constant currency” basis assuming the 2017 periods’ currency exchange rates have remained constant with the 2016 periods’ rates. These metrics facilitate a comparative view for the changes in our business in an environment with fluctuating exchange rates. (b) Under U.S. GAAP, the realized and unrealized gains and losses on fuel derivatives not qualifying as fuel hedges are recognized currently in earnings. We believe that unrealized gains and losses on fuel derivatives are not an indication of our earnings performance since they relate to future periods and may not ultimately be realized in our future earnings. Therefore, we believe it is more meaningful for the unrealized gains and losses on fuel derivatives to be excluded from our net income and earnings per share and, accordingly, we present adjusted net income and adjusted earnings per share excluding these unrealized gains and losses. (c) We believe that gains and losses on ship sales and ship impairments and restructuring and other expenses are not part of our core operating business and are not an indication of our future earnings performance. Therefore, we believe it is more meaningful for gains and losses on ship sales and ship impairments and restructuring and other non-core gains and charges to be excluded from our net income and earnings per share and, accordingly, we present adjusted net income and adjusted earnings per share excluding these items.